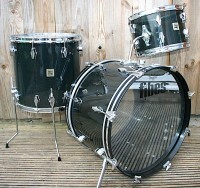 Following on form last months article on George Way, it seems right to talk about Camco Drums. Camco was born out of the George Way company after John Rochon bought out the other shareholders in the company and gained majority control. After George had been backed into a corner, Rochon accepted his forced resignation, after they had had conflicting views in a board meeting in August 1961. 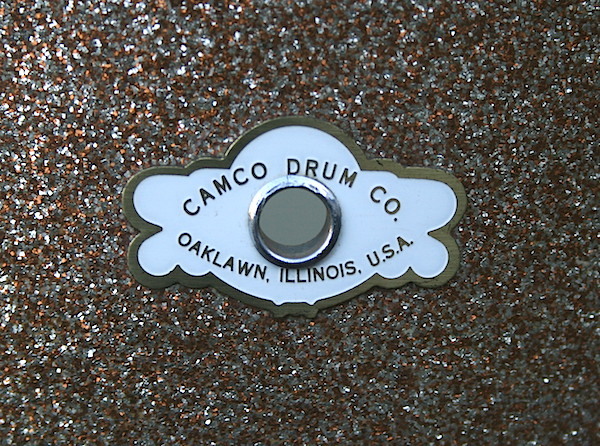 Production of Camco Drums was moved from the GW factory in Elkhart to Oaklawn, Illinois during 1961, and production continued there until 1971. The Oaklawn era drums built by Camco varied very minimally from those designed and built but the Way company previously. 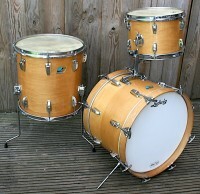 The shells were predominantly 4 ply in construction, with reinforcing ‘glue’ rings. 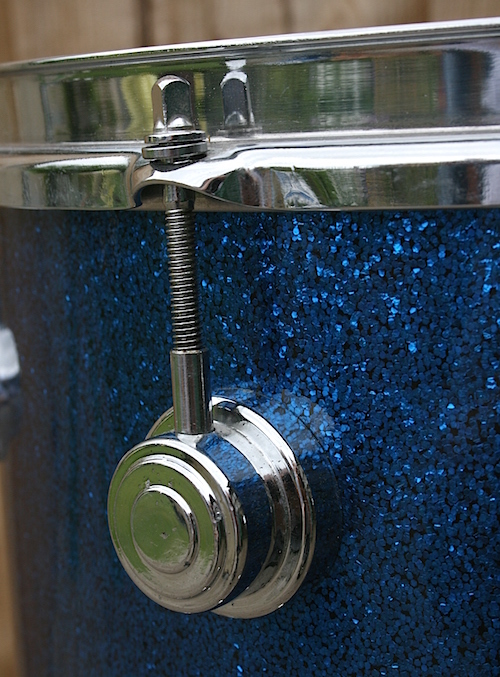 They were adorned in the most part with the famous George Way turret lugs, ‘cloud’ badges and tall ‘double flange’ counter hoops. But not all drums had the same features – a new ‘Studio Model’ snare featured the ‘Streamline’ lug design and strainer. 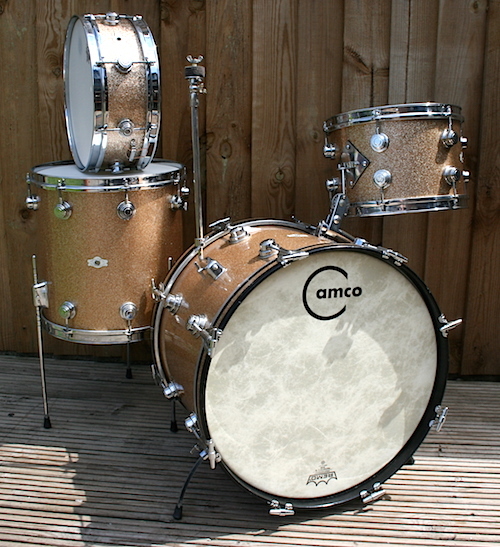 The Camco company did not capitalise on the rock’n’roll scene of the 1960’s in the way that the other major brands like Ludwig, Gretsch, Slingerland and Rogers did. With only a few high profile pop acts of the time, like Dennis Wilson (Beach Boys) and Doug Clifford (Creedance Clearwater Revival), the company seemed to stick to a slightly old fashioned and jazz based clientele that may have hindered later sales. 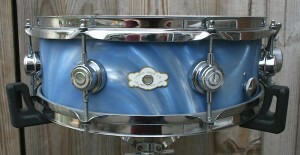 Unlike other drum companies of the time, Camco drums did feature differing internal shell finishes dependent on the exterior of the shells. 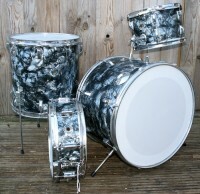 Wrapped drums were almost exclusively painted white inside while lacquer finished drums featured a clear coat to the shell’s inner ply. with a lot of the major drum manufactures, these small production companies were, and are still, bought and run by major musical instrument companies. This alliance was short lived and in 1973 Camco moved production to LA where they stayed until their demise in 1977/78. 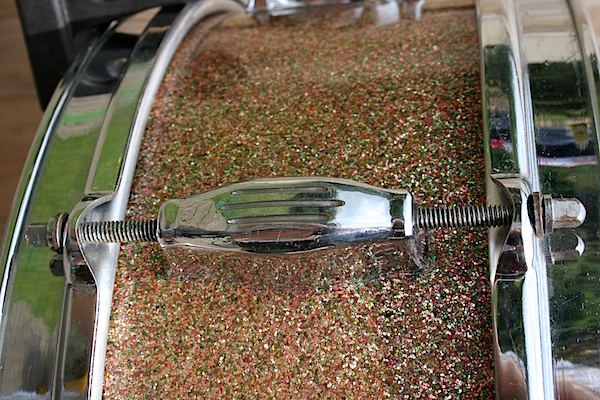 The LA era drums feature a thicker 6 ply shell, still built with reinforcing rings and all drums had a clear lacquer interior. 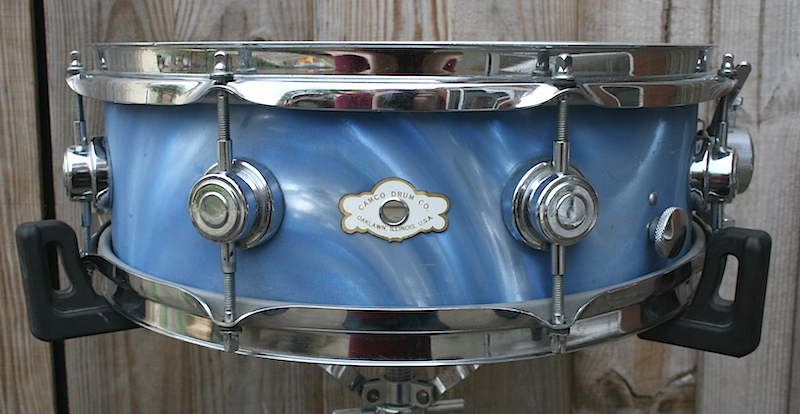 These later LA drums became a favourite with session and studio artists, and players like Jim Gordon (John Lennon, George Harrison, Derek and the Dominos, Carly Simon, Frank Zappa Jackson Browne) exclusively used Camco drums. Jim’s Walnut Stain Camco kit is almost legendary. Other West Coast legends like Jeff Porcaro were Camco advocates, as well as UK drummers like Dave Mattacks and Bob Henrit. Finnish born Pentti ‘Whitey’ Glan famously used a white lacquered double bass drums set up in the Alice Cooper concert film ‘Welcome to my Nightmare’. 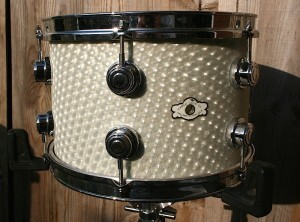 This finish was then catalogued as ‘Alice Cooper White’. In 1977 during the demise of the Camco company, the rights were sold off to Drum Workshop and Hoshino Gakki, a parent company of Tama Drums. Drum Workshop received Camco’s inventory and manufacture equipment. DW adopted the George Way turret lug casting and still use the design, almost unchanged, to this day. 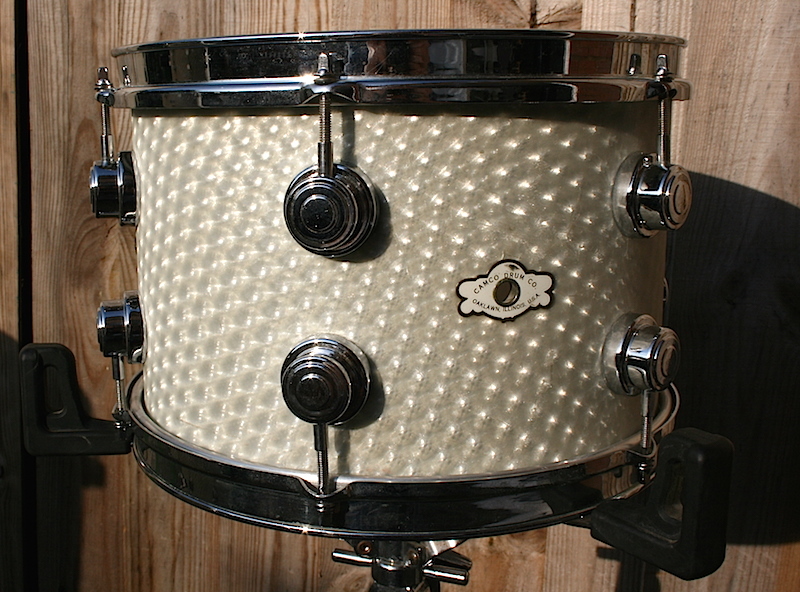 Tama now posses the rights to the Camco name and briefly during the late 1970’s produced both American and Japanese built drums under the Camco banner with similar rounded lugs. 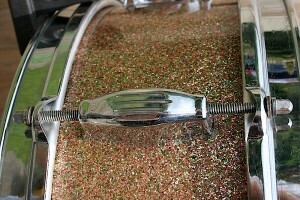 They also produced a Camco-by-Tama single pedal using a modified version of the original Camco pedal with a chain drive variation. Because of their short production period and numbers, and a more select artist/endorsement profile, Camco drums are still very highly desired by both players and collectors.